This post is probably very dull if you’re not interested in fabric design, sorry! 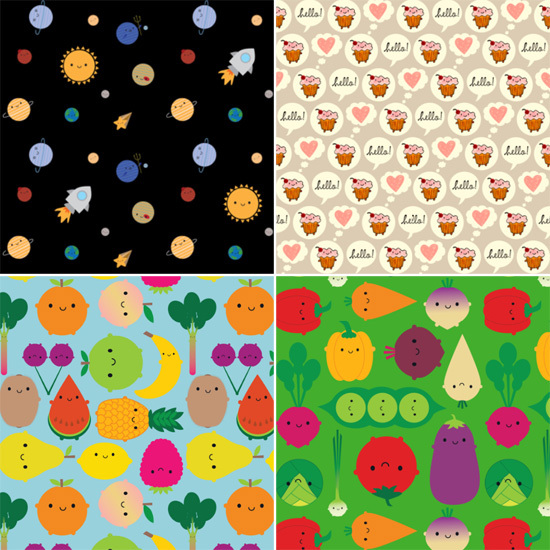 If you remember back to this post, I created a pattern using safe colours for Spoonflower fabric. Spoonflower uses LAB colours, which can be a bit of a hassle. 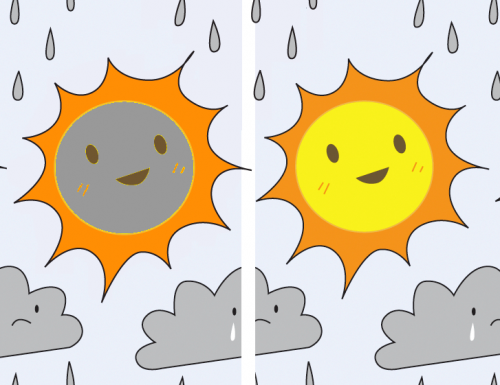 Basically, it’s the same as how CMYK can’t accurately display all RGB colours. Here’s an example of out of gamut colours. In the left, my yellow was not a LAB yellow so it marks the area in grey. If I go ahead and send this to Spoonflower, it won’t print grey but it will shift the colour to the nearest match, which may or may not be what you expect. 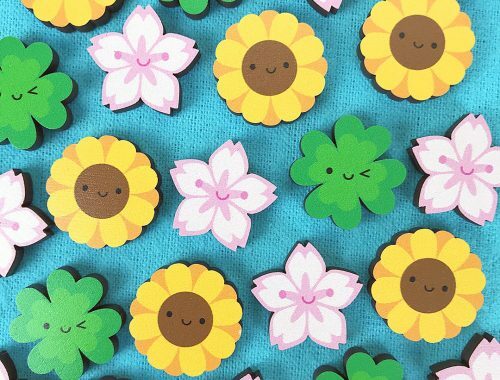 I left some out of gamut colours in my Vintage Flowers print because they were so small and I didn’t have this palette – the yellows came out almost fluorescent. That’s not a big issue for a few tiny lines but if my whole fabric background was suddenly fluorescent yellow, that’s a problem. 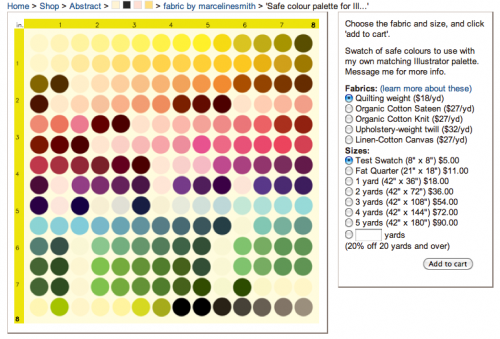 Spoonflower (and users) already offer swatch palettes for download. The one for Photoshop (above, right) works fine for me, but I do most of my work in Illustrator and the palette on offer doesn’t work with my edition (CS). So I made my own (on the left). Once I had an image of all the colours, I opened it in Illustrator and created a new Swatch set using the eyedropper. 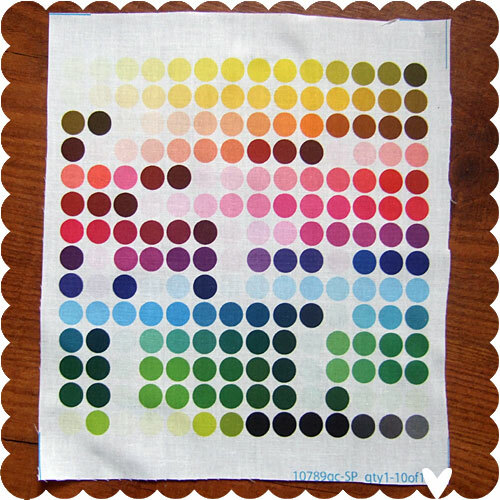 I saved that Swatch set as Spoonflower Colours so I can load it up whenever I’m working on a fabric design. 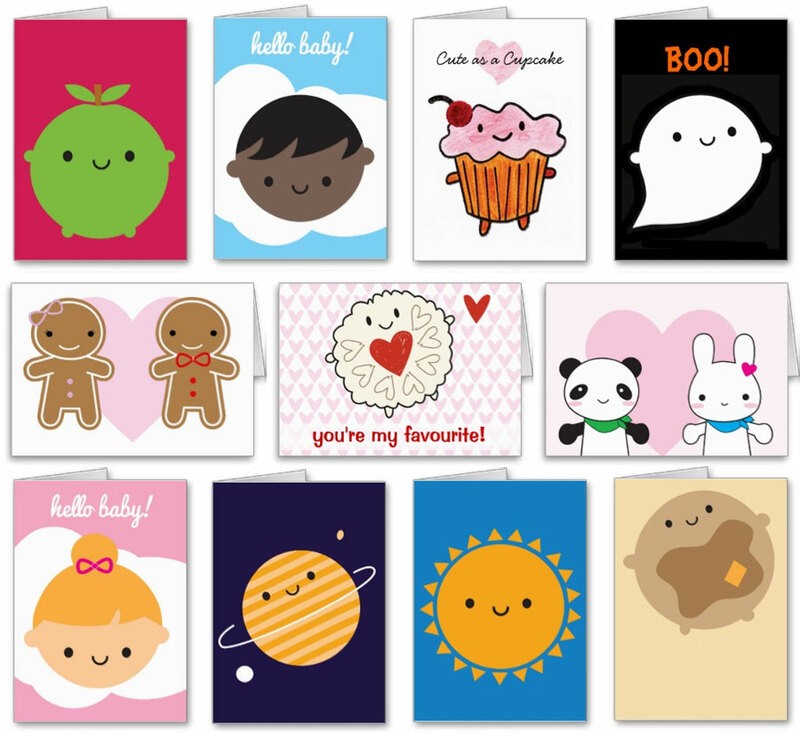 These are not all the colours Spoonflower can print, by the way, but it’s a good spectrum for me and they will all print correctly. 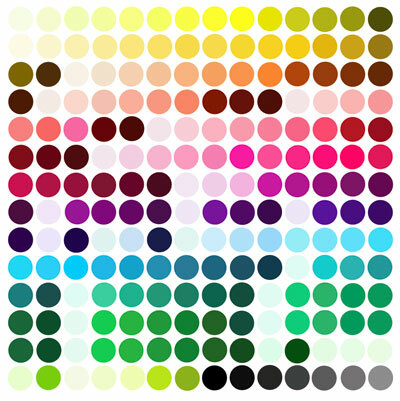 Once I had my Swatch palette, I created the above image in Illustrator by filling in circles with each of the colours in the same order as the palette. I then opened this file in Photoshop, checked it for gamut errors (none!) and saved it as a tiff for Spoonflower. For more info on preparing files, see the Spoonflower FAQs. I then uploaded it and ordered a print on fabric. All my latest fabric designs were done using this palette (before I ordered the print) and came out perfectly. About 90% of the time, there was a colour exactly as I required – the other times, I would have to compromise, choosing the best from a few reasonable matches. You can probably see oranges and reds are the colours with the smallest range – most issues people have had with their fabrics have been with reds going orangey. Now, when I next design some fabrics, I can choose a colour from my swatch palette in Illustrator and then double check it on the fabric swatch to make sure it’s what I want, or vice versa. This gives me so much more control over colours, as I’m not being swayed by my monitor colours/brightness and I can see any colour shifting caused by Spoonflower’s printing, inks or base fabric colour. You can download my Illustrator swatch palette by clicking this link*, and then order a print of this on fabric right here on Spoonflower. It fits perfectly on a swatch so that’s just $5. You might have to resize your palette in Illustrator so it shows the colours in the same grid pattern but then you’re all set. You’ll also note I ran out of space on the fabric design, and only included about half of the greys. You should be able to extrapolate the remaining greys from what you have. At some point, I need to order this on all the available base fabrics so I can compare. *To use it, copy the file to the swatches folder in your Illustrator program directory. 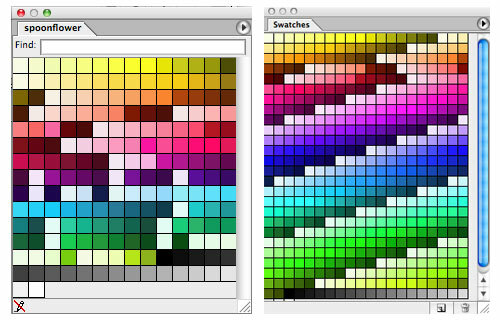 On a Mac, it should be something like Illustrator CS > Presets > Swatches. PC users will probably find it in Program Files, or do a search. Once you’ve saved the file, you can open it in Illustrator using the little > arrow at the top of the Swatches window.